Buxton Opera House have been awarded a grant to conduct a study of how the Opera House can be protected and enhanced for future generations. In 1979, thanks to the hard work and dedication of many people, the Opera House was restored to its former glory. Forty years on and the Opera House team are set on preserving the history of the building whilst securing the future of the theatre. The study grant, from Arts Council England and the High Peak Borough Council, will focus on improving the backstage facilities to attract a higher calibre of production to the Opera House stage. Whilst it’s critical to preserve the past, it’s equally important to safeguard the future of Buxton Opera House as a working theatre. Some of the older systems, such as the original hemp rope flying system that lifts scenery in and out of the stage, are no longer fit for purpose, and Buxton is one of very few hemp houses in the country. Other areas being considered for improvement are the raked stage which is uneven in places making it difficult for some dance companies to visit; providing much needed additional toilet facilities for customers and improving access across the theatre as a whole. All changes will be sympathetic to the Grade II listed building and the original vision of renowned theatre architect, Frank Matcham, but will bring a whole new era of performances to the Opera House. Chief Executive Paul Kerryson, who has long seen the facilities as a barrier to having major touring dance and theatre productions coming to Buxton, said: “Improving our facilities will have a huge benefit to our audiences. 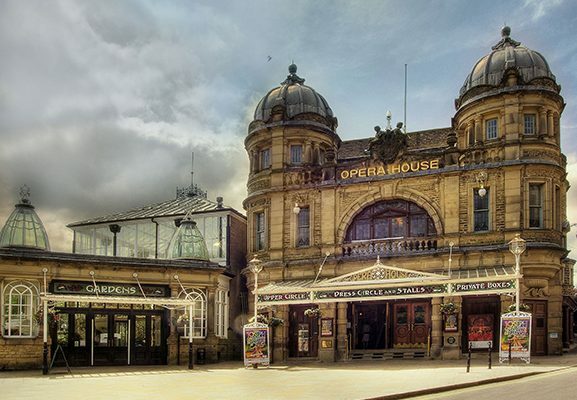 From providing a smooth raked stage which large touring companies prefer, to making the theatre truly accessible for all, these changes would provide Buxton with one of the best theatre experiences around. As winners of the Most Welcoming Theatre Awards in East Midlands over the past few years, we see it as our responsibility to provide our community with the best productions and facilities that we can offer”. Bennetts Associates will carry out the study. Their architectural experience in refurbishing theatres such as Shaftsbury Theatre in London, the Royal Shakespeare Theatre and Kings Theatre in Edinburgh has been both inspirational and award-winning. They combine a sensitivity and understanding of historic theatres alongside imagination to help buildings reach their full potential. The feasibility study is due to take seven weeks and will propose a number of options for consideration before any decisions are made. The public will be able to view the proposals on our website from June onwards and the plans will also be on display at Buxton Opera House. ← Previous Story Don’t lose your Vote!